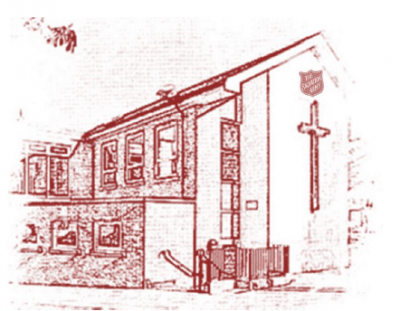 Welcome to Chatham Salvation Army, a Christian fellowship where we are attempting to bring ‘Christ to people and people to Christ’. Today we are delighted that our Senior Band are leading our worship. Each week we are blessed by the ministry of their music, so this morning let us sit back, relax and receive from God in a new way. Thank you to the Bandmaster, Nigel, his band locals and the band for all the preparation put into our worship today. 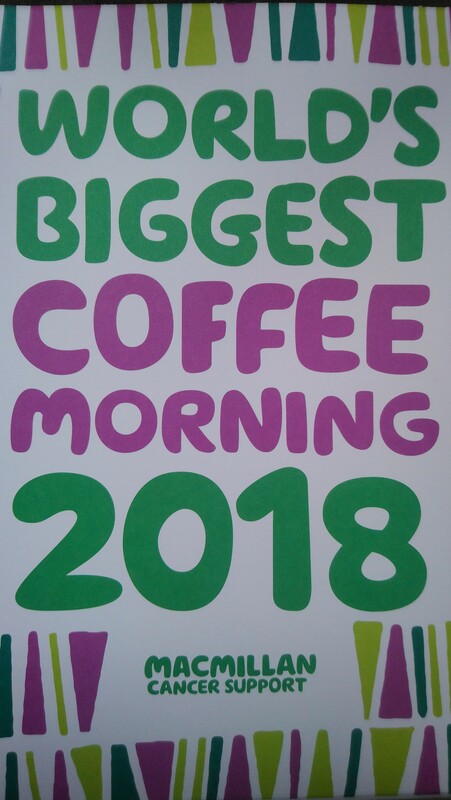 It will be somewhat different, with ‘coffee & chat’ at the usual time, then at approx 11:45 there will be a light lunch for everyone. Following that, at 12:45, we will have ‘Church in the High Street’, a great opportunity to engage, face to face with our community and share in our unique way. Let us all pray that through the efforts of the band we will be challenged and brought closer to God – in and outside of the building – Here’s to a day of blessing. Father God, I pray for my church today, that you will fill each of us with your joy and peace, and that, in our worship, our fellowship and mission, we will overflow with hope, by the power of your Holy Spirit, in the name of your Son, Jesus Christ. Amen. Sunday 30th September This will be our Harvest Sunday. We will be accepting gifts of ‘TINS’ for the Foodbank, please give generously. We will also be having our annual Harvest Altar Service. 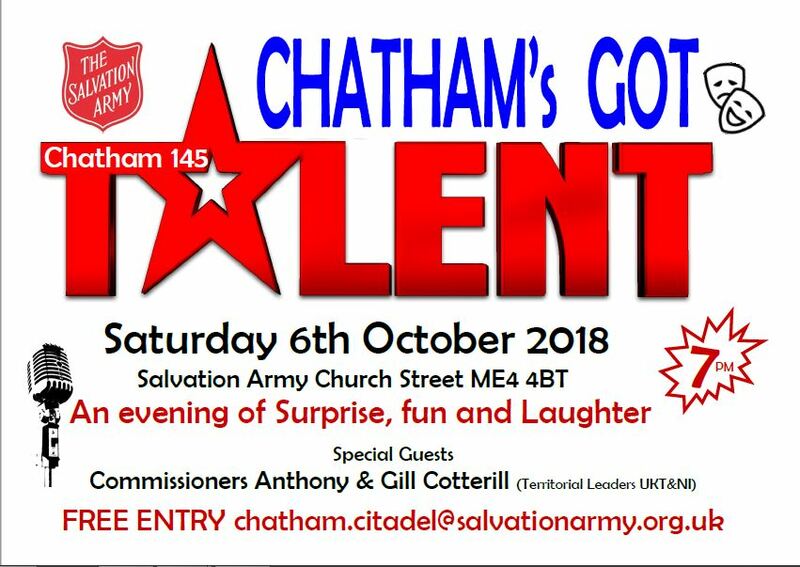 Saturday 6th October – ‘Chatham’s Got Talent’ Do you have a hidden talent? We are planning an evening of Celebration and Fun. This is for all ages and all talents. Please indicate to the CO if you would like to take part in this evening. I am sure we will find some new skills/talents emerging and have a great evening of celebration. Sunday 14th October is our Young People’s Annual and the morning meeting will be led by our Young People and Leaders. 5pm at the Regent Hall Oxford Street. arriving back to Chatham approx 8:30pm. This entry was posted in Church Life, Community, History, Spiritual Life, Worship. Bookmark the permalink.